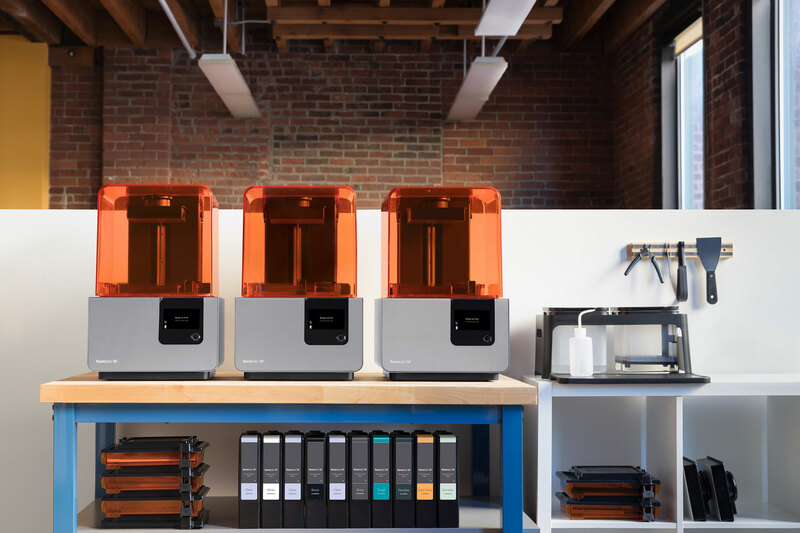 It’s the end of an era at Formlabs: after three years on the market enabling projects from medical devices to stop-motion films, the Form 1+ is officially sold out! For those of you who already own a Form 1+, we’ll support this printer and continue to offer consumables such as build platforms and resin tanks for as long as we reasonably can. We’ll honor all existing warranties, provide replacement parts, and repair units for as long as we’re able. Resin bottles will be available in the Form 1+ store until we run out of existing stock. You’ll be able to purchase the same materials in cartridges after that. While it's always bittersweet to say goodbye, we’re celebrating this shift. We’ll continue doubling down on the Form 2, a 3D printer we strongly believe in, and continue to develop the ecosystem and platform that surrounds it. Why Upgrade to the Form 2? The Form 1+ was a technological leap from the Form 1, and the Form 2 is the most mature, reliable desktop stereolithography 3D printer available on the market. The Form 2 has a 40 percent larger build volume, allowing you print print parts up to 5.7 x 5.7 x 6.9 inches with no sacrifices in print fidelity. The Form 2's build volume is 40 percent larger than that of the Form 1+. Our fully customized optical engine, redesigned peel process, and Wi-Fi connectivity mean the Form 2 hardware platform is amazingly versatile and will only grow more powerful over time with continued updates to software like PreForm and Dashboard and a rapidly growing materials library. 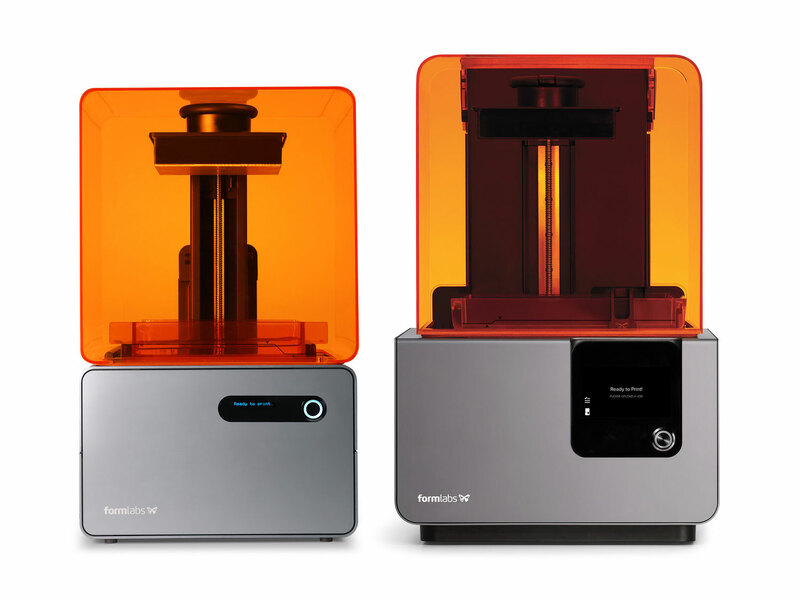 The Form 2 hardware platform includes a rapidly growing materials library and powerful software. We’ve worked to eliminate every major point of print failure so you can focus on your job, not your printer. The Form 2 includes a new cartridge system for automatic resin management, a temperature-controlled resin tank, a wiper system that removes debris from the optical path at every layer, and an enclosed optical engine to protect from dust and dirt. The touch screen interface makes this sophisticated printer simple to manage, and everything from software to hardware to materials is designed to work reliably together. We’ve poured over 40,000 hours of work into building the Form 2, and we’re committed to continuing to develop the entire ecosystem for this printer. Form 2 printers in the field have tracked over half a billion layers and almost 500 years of print time. We torture tested the printer before launch, and we’ve developed internal tests to continue to ensure that new developments lead to prints that are just as reliable.